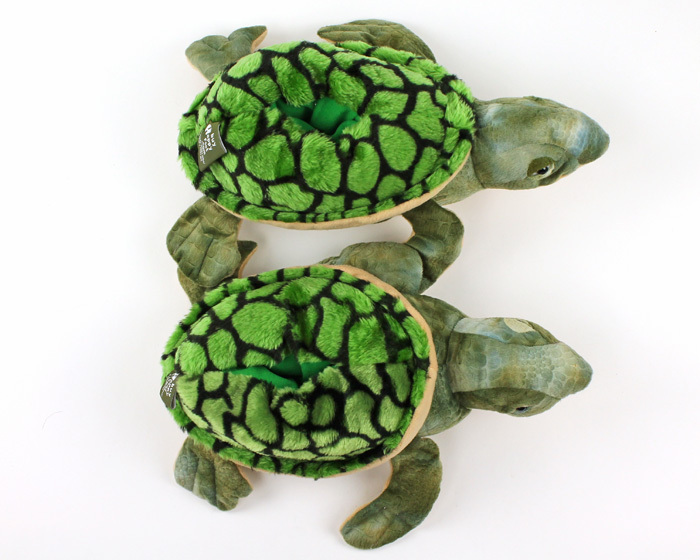 Dip your feet into these colorful Green Turtle slippers. The plush polyester fibers and one-inch thick high density foam will keep your feet warm and comfy, while the durable outer sole and reinforced stitching means these slippers will last. Detailing includes a spotted shell and webbed limbs that are true to form. 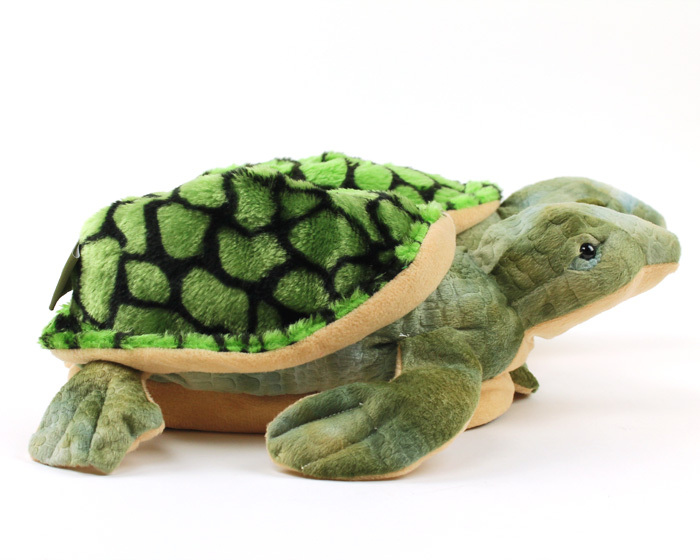 The Green Turtle slippers come in five sizes, ensuring a comfortable fit for every member of the family. These were the perfect gift for my soon to be son in law! Advantages: They are well made and sure put a smile on his face. Disadvantages: I have no complaints! I love my turtle slippers! 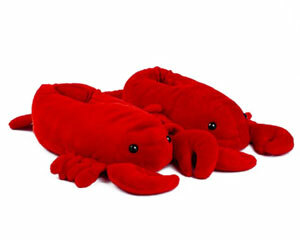 They are cute, soft and comfy! A lot of my friends loved them too! I even gave your website out. Advantages: It feels like I’m walking on pillows and they look like sea turtles. Disadvantages: The sizes seem to run a little small. Shipping was extremely fast, order was perfect. This is the THIRD pair of slippers I have purchased from this vendor. Needless to say I am impressed with the quality of the shoes, the likeness to the animal (I have purchased the dolphin, lion and now the turtle, and the timely delivery is all ON POINT. I only have one more pair to buy for my last grandchild, then it will be time to buy a pair for myself! 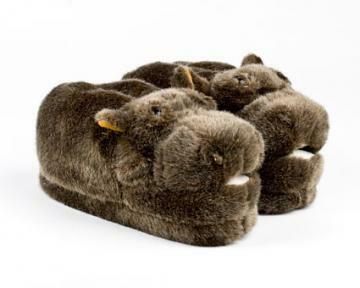 These are not only the cutest slippers ever but so soft and warm. I love them. 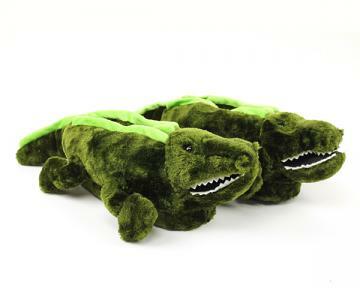 These slippers are amazing! They are true to size, very well made and look exactly like they do online. I will definitely be ordering more! I purchased the Turtle Slippers as a gift for my friend and she LOVED THEM! 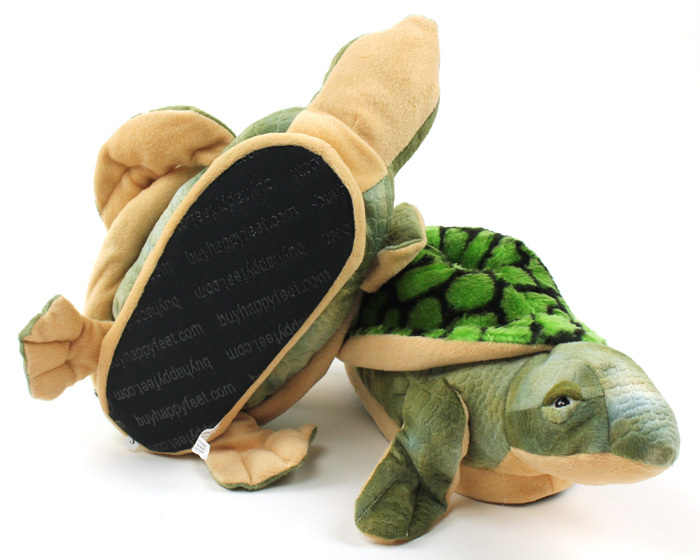 This is definitely the perfect gift for any turtle lover. 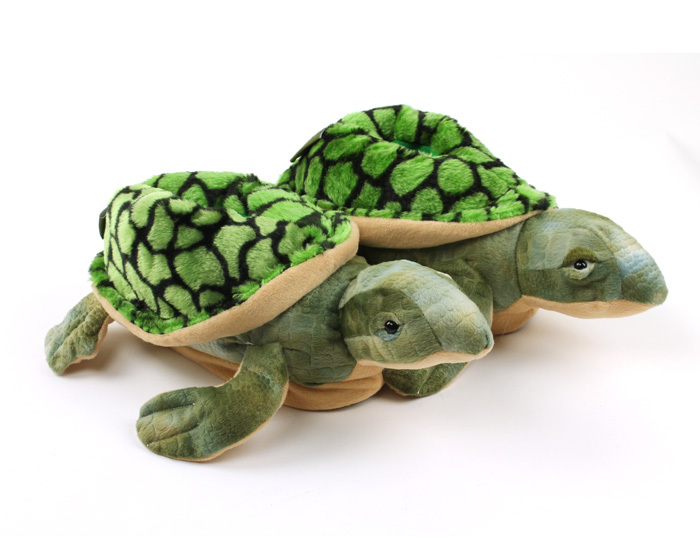 The details of the turtles are amazing and they are very comfy too. AWESOME Gift! Disadvantages: NONE, they are Perfect! I bought these for a friend who collects turtles. They are adorable. I am sure she will love them. Advantages: Look so amazing and detailed.